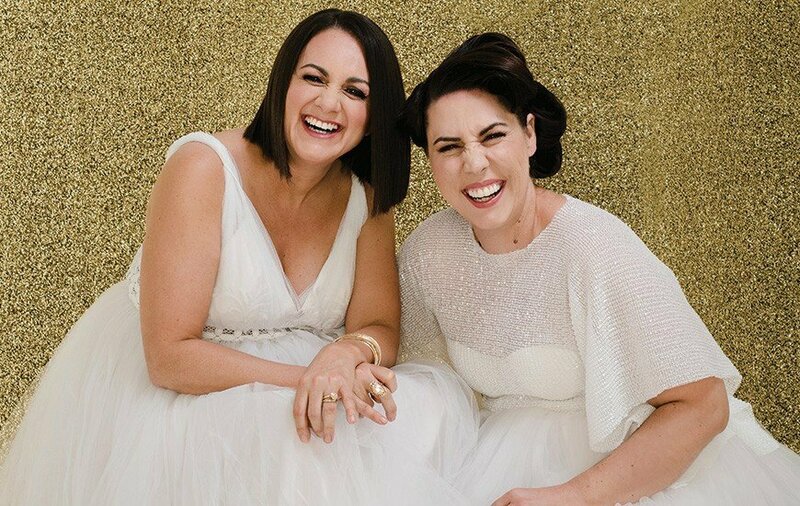 Best friends and founders of La Clinique, Angela Espie and Jo McDonald, have based their business on the belief that every woman deserves the luxury of feeling naturally beautiful, and they speak from experience. Having shared a rollercoaster ride of ups and downs, these two strong women are leading by example, proving beauty really is more than skin deep. Every now and then you meet someone who ignites your flame and reaffirms your belief that anything is possible. Jo McDonald and Angela Espie exude a love for life and each other that’s simply infectious. Despite facing what many would consider insurmountable hurdles along the way, the dynamic duo has finally found their true calling in life – empowering other women to feel comfortable in their own skin, without going under the knife. But more on that later. Let’s go back to where their remarkable journey began. Angela, mum to daughter Novia, 12, and Jo, wife of Travers and mum to three boys, Sam, 18, Casey, 16, and Ryder, 7, met while working for a large corporate organisation, and despite their pay packets being healthy, their lifestyle was anything but. The pair made the decision to leave their corporate careers to build a life that allowed them to spend more precious time with their families and follow their dream of giving women a natural alternative to more invasive beauty procedures in an ever-changing industry. The combination of their passions led Angela and Jo to discover LPG Endermologie. A state-of-the art machine developed in France that has revolutionised the face of the beauty industry. Keen to discover more about the machine and how it could be used to its full potential, the pair contacted the Australian distributors. “We will never forget the phone conversation we had with Jeremy the French representative who explained the reason only a few protocols were being used. He offered to take us to lunch and talk more about Endermologie, how it is used in France and how it can be used here in Australia,” says Angela. 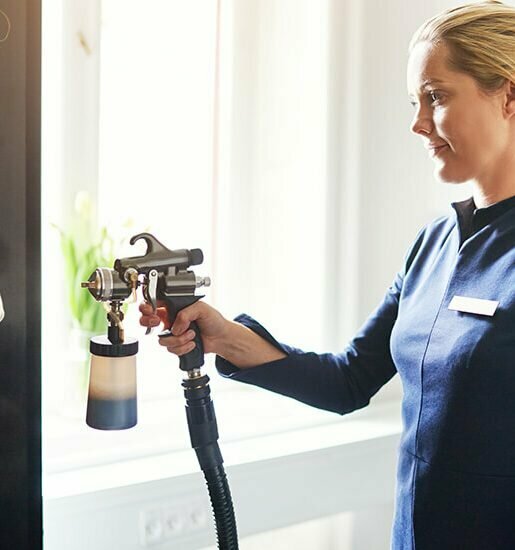 While in France, the girls learned how to use the machine, with the aim of raising the standard and awareness in Australia, and they are now recognised LPG Endermologie trainers in both Australia and New Zealand and the only therapists on the Sunshine Coast to offer the latest of LPG Endermologie’s technology. Having perfected their techniques on each other for several months before opening their own business, La Clinique at Kawana, both Jo and Angela were astounded by the results, from both a health and a cosmetic perspective. “There is not much we don’t know about the skin. I had really bad acne with bad scarring when I was younger, I have never been able to not wear make-up. Now, when I wake up in the morning, I feel my most beautiful. I am religious with my treatments, I respect my skin, I eat well, I sleep well, I drink plenty of water and I look after myself from the inside out,” says Angela. “Some people say to us, ‘I can’t do anything now, it’s not worth it’, and I say, ‘Do you want to age anymore?’ We reduce your ageing by up to 10 years, but if you don’t want to do that you can just stay how you are, it’s all prevention,” says Jo. Angela wears Madison James prom dress $380 from Ferrari Formalwear and Bridal in Maroochydore, Devoted Milliner bespoke headpiece by Cindy Vogels, and accessories Colette by Colette Hayman at Sunshine Plaza; 1800 French gold gilt chair from The Shed @ Sunshine Coast Auctions. 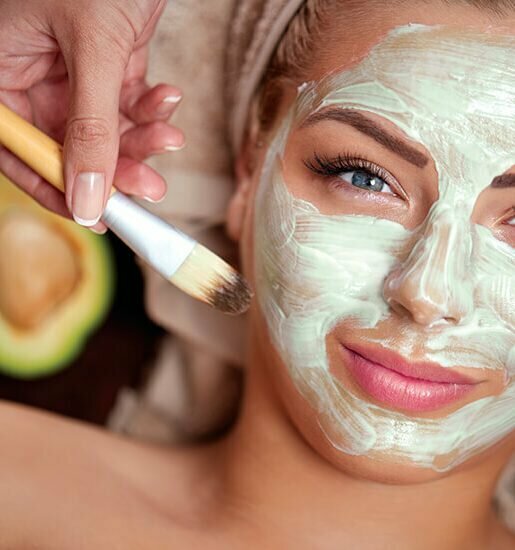 La Clinique offers its clients the very best in treatment options but at the heart of what they do is a passion to deliver 100 per cent natural alternatives to botox and surgery. “Beauty is more than skin deep, so our treatments rely on science and nature, not scalpels. A lot of younger women in their 20s are looking for natural alternatives, we are seeing a real shift,” says Jo. And when it comes to taking care of ourselves, Angela and Jo both agree we could learn a thing or two from our French counterparts. “The French women age gracefully, because they really look after themselves. They are just so captivating, regardless of their body size or shape and they are so confident,” says Angela. “They eat a good diet, they don’t rush their meals, they get plenty of sleep and they wear minimal make-up,” adds Jo. In an industry that can be somewhat superficial, Angela and Jo are like a breath of fresh air. Real, raw and honest, they are adamant that luxury can still be affordable. “Each clinic is really boutique. They are intimate and welcoming and our flagship clinic in Kawana is available for people who want discretion. We now have a celebrity following and provide treatments for those high profile clients travelling from Los Angeles, Hong Kong, Europe and New Zealand. We can close the clinic down for a client who wants a full day of private treatments or it’s great for bridal parties. It has that celebrity feel without the ridiculous price tag,” says Angela. But it’s the luxury of working with their best friend and sharing life’s ups and downs together, warts and all, that is most important to the effervescent duo. “The very best thing about working together is that we get to experience this wonderful, crazy, fun journey together,” says Jo. “We will always find joy in the fact that our passion led us to castles in France with strangers who are now dear friends, that we have changed many women’s lives by sharing our secrets and being brave to bring natural technologies into a market that we were not sure was ready,” says Angela. As women who started their business as a means to spend more time with their families and improve their quality of life, Angela and Jo are offering the same opportunity to other Sunshine Coast women, having recently franchised the business. “We are giving other women the opportunity to work with us by offering boutique franchise partnerships. It allows women to have balance between family and career. Our model promotes coffee with your best friend, family time, personal growth and the many secrets to becoming a successful businesswoman with integrity,” says Jo. “None of our clinics open until 9.30am. We will never put a La Clinique in the middle of a busy shopping centre because they require you to be open during retail hours. You can choose to close at 3pm to collect your children from school if that suits. More mature women might choose to work during the day and go and play golf in the afternoon. It’s all about what suits your lifestyle,” says Angela. Chatting with Angela and Jo was like catching up with long lost friends and as we reflected on life’s ups and downs over tea and cake, there were lots of laughs and some poignant moments, too, as the girls opened up about the lessons they have learned on their journey so far. “We have learned so many things, mostly that every cliche you have heard is true! Believe in yourself, trust your gut, follow your heart and integrity is everything,” says Angela. So what’s next for this dynamic duo? “I think there’s always more and we have such a big picture of where we want to go, it feels like we are just beginning,” says Jo. 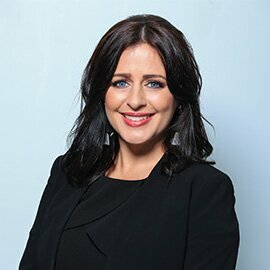 “Our aim is to make sure La Clinique paves the way in the beauty industry by always having the latest, non-invasive technologies to offer our clients,” says Angela. Cover Image: Jo and Angela wear custom dresses by Judy Copley Couture. Accessories from Colette by Colette Hayman at Sunshine Plaza. Hair by Uptown Hair Studio and make-up by Melina Dee makeup artistry.